Americans have a love/hate relationship with debt. Credit cards and cheap financing allow us to enjoy perks we wouldn’t normally be able to afford. Yet, as the numbers below illustrate, this convenience and access can quickly get out of control. Nationwide, total household debt is now approaching $13 trillion — an amount that has steadily risen over the past four years.That’s just the consumer side.When the Great Recession began in 2007, corporate debt was less than $5 trillion. Roughly a decade later, it has swelled to over $9 trillion. Even the government isn’t immune, with the national debt currently standing at $22 trillion. Clearly something needs to be done. For most people in debt, it’s the interest that gets them (even if they don’t realize it). Imagine you buy a computer that costs $1,000. You pay for it with a credit card that charges 10 percent in interest. If you make minimum monthly payments of around 4 percent, it’ll take you 80 months to pay down the entire balance. Because of all that interest, your $1,000 computer ends up costing a whopping $2,474.91. You can check the math yourself using this free Loan Calculator. Again, something needs to be done. The moment you involve a third party, there are extra fees along the way. After all, these middlemen have to generate a profit from their services. They typically make that off you — the person they’re supposed to be helping. You’re better off bringing everything in-house as much as possible. The goal is to have enough money every month so you can at least make the minimum payments on all of your outstanding balances. If you ever miss a payment, your interest rates will grow. This will only make it harder to get out of debt. If you have access to a credit card with a low interest rate, consider transferring some of your balances. Many cards even offer 0 percent intro APR. Although this rate is temporary, it allows you to reduce your interest charges while paying down the loan balance. If your goal is to minimize interest payments as much as possible, the Avalanche approach can help. After making minimum payments on all of your balances, put any extra money into whichever debt carries the highest interest rate. Once that loan is paid, move on to the balance with the next highest interest rate. This is the cheapest and fastest way to service debt over the long run. For many Americans, it’s also the hardest since it’s more challenging to track your progress over time. If you’re worried about losing steam, check out the next tip. 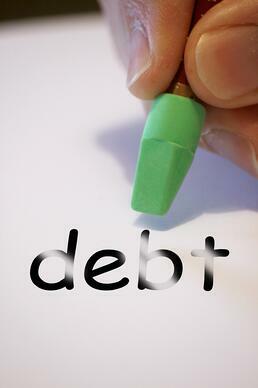 With this debt strategy, you make minimum payments on all your outstanding loans. Any extra money goes to the smallest balance. Once that loan is repaid, move on to the next smallest balance. This approach is slightly more expensive than the Avalanche method, but it’s easier to stay motivated since you’re able to wipe out individual loans much faster. Plus, you can see this progress unfold. Want More Tips for Paying off Debt? Whether as a consumer or business owner, getting out of debt is the first step toward true financial independence. If you’d like even more strategies for paying down your loans, follow our blog for additional tips.